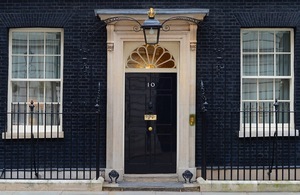 Prime Minister: "We have to tackle the scourge of violence caused by binge drinking. And we have to do it now." The Prime Minister is leading government action to tackle binge-drinking culture by supporting proposals a minimum unit price for alcohol. A new alcohol strategy sets out an approach to address irresponsible drinking - which costs the UK £21 billion a year. Setting out the plans in the House of Commons, Home Secretary Theresa May said that she hopes that the strategy will help reverse a culture that led to almost one million alcohol-related violent crimes and 1.2 million alcohol-related hospital admissions last year alone. Binge drinking isn’t some fringe issue, it accounts for half of all alcohol consumed in this country. The crime and violence it causes drains resources in our hospitals, generates mayhem on our streets and spreads fear in our communities. My message is simple. We can’t go on like this. We have to tackle the scourge of violence caused by binge drinking. And we have to do it now. So we’re going to attack it from every angle. More powers for pubs to stop serving alcohol to people who are already drunk. More powers for hospitals not just to tackle the drunks turning up in A&E - but also the problem clubs that send them there night after night. And a real effort to get to grips with the root cause of the problem. And that means coming down hard on cheap alcohol. When beer is cheaper than water, it’s just too easy for people to get drunk on cheap alcohol at home before they even set foot in the pub. So we are going to introduce a new minimum unit price - so for the first time it will be illegal for shops to sell alcohol for less than this set price per unit. We’re consulting on the actual price, but if it is 40p that could mean 50,000 fewer crimes each year and 900 fewer alcohol related deaths per year by the end of the decade. This isn’t about stopping responsible drinking, adding burdens on business or some new kind of stealth tax - it’s about fast immediate action where universal change is needed. And let’s be clear. This will not hurt pubs. A pint is two units. If the minimum price is 40p a unit, it won’t affect the price of a pint. In fact, pubs may benefit by making the cheap alternatives in supermarkets more expensive. Of course, I know this won’t be universally popular. But the responsibility of being in government isn’t always about doing the popular thing. It’s about doing the right thing. Binge drinking is a serious problem. And I make no excuses for clamping down on it.